Legalization of cannabis in some form was approved by three more states on 6 November. Michigan voters favoured legalizing recreational-use cannabis, while Utah and Missouri passed propositions on medical cannabis. Michigan already has a law allowing and regulating medical cannabis. Utah voters passed Proposition 2 with 53 percent. Governor Gary Herbert said a special legislative session will be called to have the law enacted. The compromise law has a more narrowly-defined definition of chronic pain and doesn't allow users to grow cannabis plants. Missouri voters approved one of three medical cannabis laws on the November ballot. Amendment 2 passed with about 65 percent. Cannabis with a ratio of CBD to THC of 20:1 and 6:1 was beneficial in children with autism spectrum disorder. Results of this research by doctors of the Neuropediatric Unit of the Shaare Zedek Medical Centre in Jerusalem, Israel, were published in the Journal of Autism and Developmental Disorders. Sixty patients aged 5 to 18 years received up to 10 mg/kg bodyweight of CBD and 0.5 mg/kg of THC. In 29 patients with an insufficient response to the extract with the 20:1 ratio higher THC doses were given. Mean total daily dose was 3.8 mg/kg CBD and 0.29 mg/kg THC. Following cannabis treatment, behavioural outbreaks were much improved or very much improved in 61% of patients. 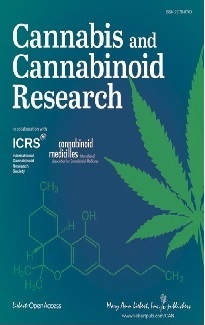 Authors wrote, that “this preliminary study supports feasibility of CBD-based cannabis trials in children with ASD.” However, the denomination of the extract as “cannabidiol-rich” may be questionable since a daily dose of 0.3 mg/kg THC may be a considerable dose for children, which is underlined by a transient serious psychotic event in one patient. Thus, treatment effects may not be based on CBD but on THC. On 31 October Mexico’s Supreme Court ruled that an absolute ban on recreational use of cannabis was unconstitutional, effectively leaving it to lawmakers to regulate consumption of the drug. That creates a precedent other Mexican courts will have to follow. Congress would now have to act to regulate the use of cannabis in Mexico. From 1 November on cannabis-based products can be prescribed, but only by consultant medical practitioners at hospitals, and only in a small number of cases, such as nausea caused by chemotherapy, muscle stiffness linked to multiple sclerosis, and for children with rare or severe forms of epilepsy. New guidelines state that medicines containing cannabis cannot be prescribed by a general practitioner, although they will be able to refer their patients to specialists to request prescriptions. A majority of Britons (59%) support general legalisation of the drug, while 31% oppose it according to a poll commissioned by the think tank Volteface and the Centre for Medicinal Cannabis, and carried out by Populus. FAAAT has published volume 1 of the Crimson Digest, a 50-pages condensed info about the WHO, the ongoing cannabis review process and a historical background. The second Volume to come soon will address more directly the current state of the process. About 7 people a day are being approved for medicinal cannabis. Access to the drug is still severely restricted two years after its medicinal use was legalised nationally but a new online application system has increased approvals in recent months. The Therapeutic Goods Administration approved 469 applications for the drug under the Special Access Scheme between August and September. That’s up from just 97 between January and February. Jair Bolsonaro, the new president of Brazil and a supporter of Brazil’s former military dictatorship, routinely says that Brazilian police should kill suspected drug traffickers and other criminals at will. He draws his inspiration from President Rodrigo Duterte of the Philippines, whose approach has led to over 12,000 deaths of people for alleged involvement with drugs. Bolsonaro has said that Duterte “did the right thing for his country”. Parents of a 4-year old Brazilian who suffers from cerebral palsy and West syndrome obtained permission from a judge in the region of Minas Gerais to grow enough cannabis to produce medicine from the plant. Judge Antonio Jose Pecego, a criminal court jurist in Uberlandia, the second largest municipality in the state of Minas Gerais in southeastern Brazil, justified the decision by characterizing it as a protection of the rights to life, dignity and health. Epidiolex, an oral solution of a CBD extract is now available as a treatment for seizures in patients age 2 or older who have Lennox-Gastaut syndrome or Dravet syndrome. Epidiolex is developed by GW Pharmaceuticals and will be marketed in the U.S. by its subsidiary, Greenwich Biosciences. In a study with healthy adult volunteers researchers investigated safety, tolerability and pharmacokinetics of CBD oral solution up to a dose of 1500 mg CBD twice-daily. A high-fat meal increased CBD plasma concentration after the intake of 750 mg and 1500 mg twice daily by 4.85 and 4.2-fold. CBD was generally well tolerated. There were no severe side-effects. In a group of 1527 frequent cannabis users (3 or more times a week) 12.1 % of those who stopped use experienced a cannabis withdrawal syndrome. The most common withdrawal symptoms were nervousness/anxiety (76.3%), hostility (71.9%), sleep difficulty (68.2%) and depressed mood (58.9%). Lev Hasharon Medical Center, Netanya, Israel. 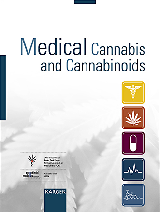 A review on medicinal properties of certain cannabinoids (THC, caryophyllene, THCA, CBD, CBDA) comes to the conclusion that they may not only be useful in the treatment of certain neurological symptoms, but may be beneficial in the treatment of underlying causes of epilepsy, brain tumours, Parkinson’s disease, Alzheimer’s disease and traumatic brain injury and may even be used in preventive treatment. According to a review cannabidiol (CBD) shows similar efficacy in severe paediatric epilepsies to other antiepileptic drugs. Careful down-titration of benzodiazepines is essential to minimize sedation with adjunctive CBD. University of Otago, Wellington, New Zealand. The liverwort Radula genus contains a compound (bibenzyl (-)-cis-perrottetinene), which structurally resembles THC of the cannabis plant. Researchers demonstrated that this liverwort cannabinoid also binds to the cannabinoid-1 receptor in mice. Institute of Biochemistry and Molecular Medicine, Bern, Switzerland. Cannabis use by pregnant women increased from 1.2% in 2012 to 1.8% in 2017, mainly in young women and low socio-economic status. Ottawa Hospital Research Institute, Canada. According to a survey of 2905 cannabis users, relative to recreational users, medical users were less likely to report undesirable acute effects but were more likely to report undesirable withdrawal symptoms. Older (50+) individuals reported fewer undesirable acute effects and withdrawal symptoms compared with younger users (18-29). In a study with rats activation of the CB1 receptor and antagonism at the CB2 receptor may reduce gastric acid secretion. Toxicology and Narcotics Department, Cairo, Egypt.